1. Place a disposable aluminum foil pan on top of a very hot grill. Add the butter, garlic, and onion. Cook, stirring the mixture occasionally until the onions are tender. 2. 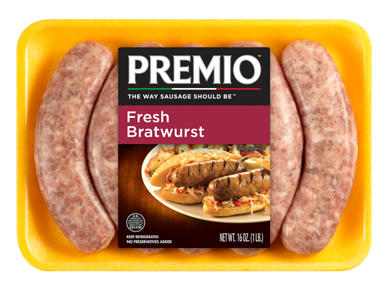 Place the Premio Sausages on the grill and grill until just colored and marked on the outside. Transfer the sausages to the pan with the onions (they will not yet be fully cooked). 3. Add the beer and peppers to the pan; continue cooking until the beer has mostly reduced, about 20 minutes, turning the sausages occasionally. 4. 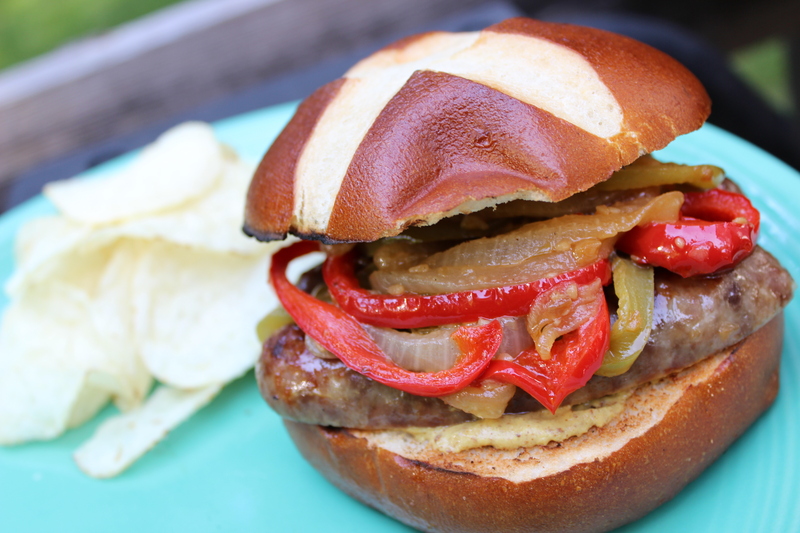 Warm the pretzel buns on the grill, spread with mustard and place a sausage along with some of the peppers and onions in each.